Explore the world of sacred dramatic music as members of the Academy of Sacred Drama! Patron members receive premium admission to 9/15, 11/10, and 4/6 performances, invitations to open rehearsals, and an Academy Journal print subscription. The Academy is an artistic and intellectual community that uses historical insights and modern open licensing to explore the forgotten cultural treasures of sacred dramatic music. We aim to revitalize culture and scholarship through our efforts. 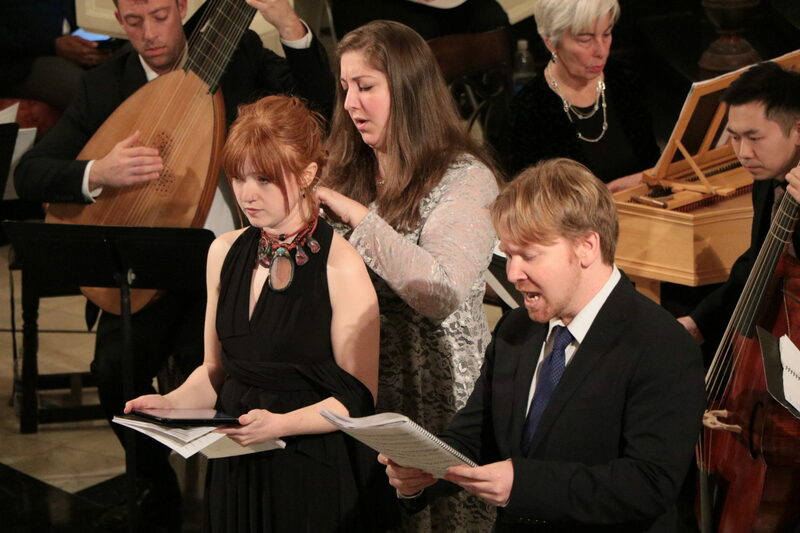 Join us as we perform oratorios that haven’t been heard since the sixteenth and seventeenth centuries and as we explore these works through the creation of editions, translations, and the Academy Journal. At the same time as we create unique performance experiences for our members and audiences, our work is the starting point for decades of future performances and research. We look forward to you joining our community!